Juicing is a popular diet fad that has picked up popularity, especially after being featured on a number of documentaries about losing weight. The concept behind juicing is that you can drink your way to good health, whether by fasting on juices alone or simply by adding them into your diet. It is not generally advised to start any extreme dietary changes without the consultation of a doctor or nutritionist first. If you find that you are dealing with serious health issues, juice fasts and other cleanses can have vast side effects. Rather than jumping blindly on the bandwagon, it is good to make smart and informed choices that take your specific body and health into consideration. If you are cleared for a juice fast or simply want to use juices as a way to get the vital vitamins and nutrients from vegetables and fruits without having to eat a whole lot of them, there is an option for you. However, make sure to remember that without the fibers that juicing removes from said fruits and vegetables, you are not consuming any of the healthy fibers that make fruits and vegetables so good for us and so effective at aiding in weight loss. If juicing is something you are considering in order to trim down your body fat, don’t remove the pulp completely. Add in some of the excess fibers from your fruits and vegetables so you are getting the nourishment that nature intended. Another thing to be aware of is that juicing can actually put on the pounds if you aren’t careful. Consuming nothing but fruit juices can be very bad; just ask a diabetic! Fruits are full of natural sugars, and when fruits are juiced these sugars are concentrated. Especially if you are making a juice out of several large fruits. The best way to make a healthy juice is to create a recipe that contains two parts vegetable to one part fruit. That way you will get the natural sweetness of the fruit and the vitamins and minerals of the vegetables without having to worry about concentrated natural sugars. A juice fast can be a very fast way to lose weight, but you should always make sure you are embarking upon fasts with a qualified professional on your side. Fasting can be dangerous, but juices are a delicious way to help recharge your body and mind and get yourself motivated to continue making great changes in your life. There is no faster way to start feeling a natural buzz than to consume a good amount of vitamins and nutrients at once. Juices allow you to do just that! Not only is it a good way to help you flush out toxins, but it will keep you regular and give you energy unlike anything you have experienced since childhood. Juicing can be a great tool in aiding your weight loss. As long as you keep the basics in mind, you will be well on your way toward creating the body you have always wanted. The post Juicing for Weight Loss appeared first on Viral Rang. No one is born with strong writing skills and abilities. Usually it takes years for a person to develop these abilities. That is why a person has to be very self-determined and persistent. That is the only right way to succeed. Academic writing skills are considered as hard to acquire. It is true because academic writing is very complicated. The person has not only to master the knowledge but also have a perfect sense of academic writing style. In order to understand what academic writing is about ask australianwritings.com.au authors to prepare a piece of academic work. Having read it, you will understand what a good academic work has to be like. Take your time and think what specific topic interests you in the area of knowledge. If you like literature, specify what literary period you are keen on. If you know what exactly interests you in science it will help you choose the right topic for your research. Finding personal scientific interests is very important. It allows the person to study with joy and excitement. Start a diary. Of course, you won’t put in your thoughts in a diary as in thesis, but you will certainly ameliorate your writing skills. Any practice is important. The more you write, the stronger writing skills you will be able to develop. Study several examples of successful academic works. If you look for an essay you will certainly find some nice examples in the internet. Have a look at them. Often, the examples help to understand how to compose the research works. The professors not always provide examples. They simply give the guidelines. The students obviously find the guidelines hard to follow without having a sample. Engage in academic debates. Such an activity will help you to categorise knowledge on the topic you write about. When the ideas are shared and discussed, new ideas appear, and it also becomes easier to structure them in written form later. Show your writing to a people you trust. A parent or friend can critically assess your writing. The students often value the thought of close people more than the thoughts of a professor. They also accept critique from those people easier. 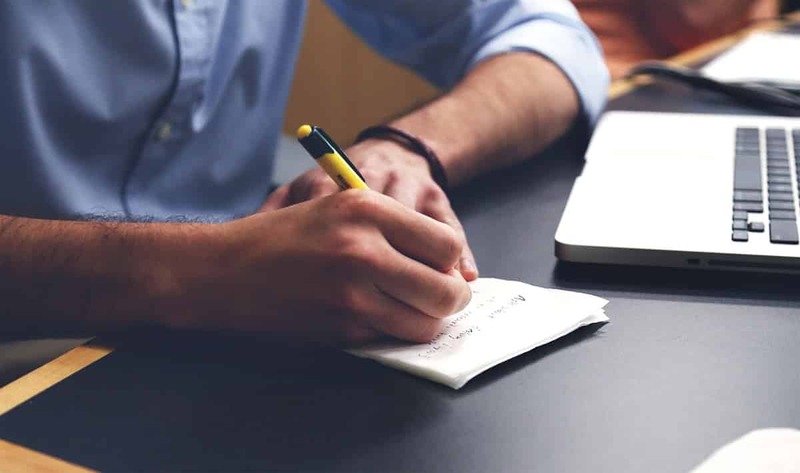 These are five key tips to follow in order to develop academic writing skills. If you use these tips with time you will certainly become a successful writer. Sacrifice enough time to prepare the list of relevant sources. Often students underestimate the necessity of it. They think to find relevant sources in the internet is very easy. However, it is not. It is a very time consuming process. Use primary sources. The primary sources explain the idea directly. Secondary sources, on contrary, give a new view on the idea. The idea is not developed by the initial author. Usually the students are asked to prepare two separate lists, one with primary sources and one with secondary sources. Develop the methodology correctly. There are dozens of different research methods. If you choose the right ones, you will certainly succeed in work. However, if the method is not correct the whole research will be labeled ‘unsuccessful’. Discuss the ideas with your professor. That is crucial. This rule is particularly necessary to remember if you compose a Thesis. Each idea you write about should be discussed with the professor. He has to evaluate it and approve. Write down the valuable ideas as they come. Do not wait until you put the whole research on paper. That is not good. In the meantime you will for sure forget about some of the ideas. The more you take notes the better. You will understand it when writing later. Re-read the whole paper. make sure the argument is coherent, logical and is supported by evidence. Also, check for mistakes and typos. These principles are very important to follow if you want to succeed. Academic writing is hard, but as soon as you learn to do it, you will enjoy it. Academic writing skills are also important to develop other soft skills. 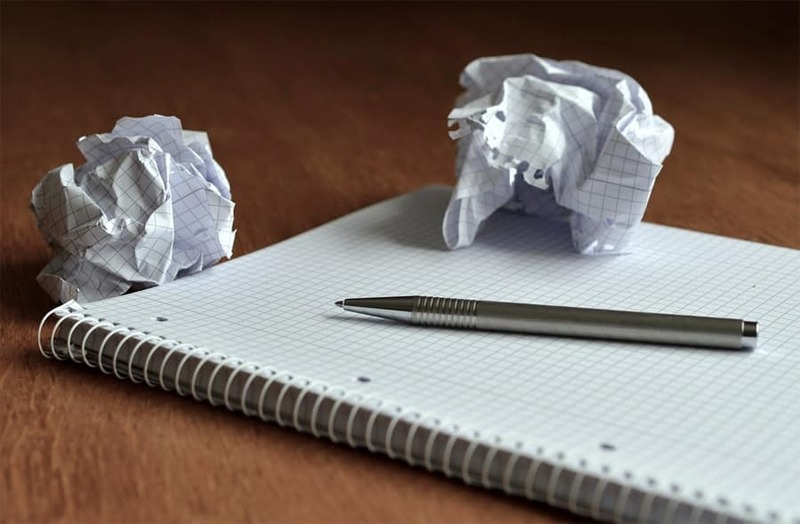 Self-motivation and persistence can be developed the best in the process of academic writing. The post Ways To Develop Strong Academic Writing Skills appeared first on Viral Rang. Starting a business can be costly, especially in certain fields such as brick-and-mortar and retail. But there are ways to drastically reduce your startup costs, and to secure funding without giving away the rights to your company, or going into serious debt. I can’t tell you how many times I’ve heard entrepreneurs lamenting over the fact that they gave a huge percentage of their company equity away to get angel investors or venture capital, and realized later they could have done it on their own without giving up so much equity. Now let’s say your company makes $1,000,000 in profit in its first year. This means your angel investor would receive $250,000 for that initial $100,000 investment, and that’s just in the first year! Over the years, this could add up to millions of dollars! In this guide, we’re going to talk about some of the best ways to save money, get profitable faster, and avoid having to seek funding before your company is truly ready. You’re going to learn how to start your business with the least possible investment, and how to manage your money until your company becomes profitable. According to a 2009 survey by the Ewing Marion Kauffman Foundation, the average startup cost for a business was around $30,000. It might be a bit higher now, given inflation, but you can expect the average is still somewhere in that ballpark. Of course, startup costs can vary dramatically depending on the type of business you’re trying to start. Opening a retail business or a restaurant, for example, might cost a minimum of $50,000 or more, because you have to pay for the physical space, fixtures, product, licensing, employee salaries, and more. But starting an online business focusing on digital products, affiliate marketing, drop shipping, or something similar might require as little as $25 to start. This is one big reason so many people start these types of businesses. There’s a lower barrier to entry. Even $25 can be a significant investment for some people. If you’re already living on next to nothing, even such a small amount can seem like a fortune, especially when it comes to risking it with a potential for failure. But entrepreneurs know that there’s no reward without risk, and only you know how much risk you’re willing to take. So, the first thing you need to do (after you make the major decisions regarding the type of business you want to create and such) is figure out exactly how much you’re prepared to spend starting your business. A lot of this will probably depend on how much you have to spend. If you don’t have very deep pockets, and most of us don’t, you will be limited in the amount of money you have available to start your business. Some people don’t mind risk, and they’re willing to put more of their available funds into their business in order to try to extract profit more quickly. Others prefer to risk a bit less and grow more slowly. Either way is fine. It’s up to you to decide how much risk you’re willing to take. This is why it’s important to set a budget and stick to it as much as you possibly can. If you have $20,000 in your savings account and you’re willing to risk half, then you need to set a budget that falls within the $10,000 you have available. If you have no money available, and you’re starting with nothing, budgeting becomes even more important. You’ll have to find money somehow, and that’s not easy if you have no experience to prove your ability. Determine exactly how much money you have to invest, and how much you’re willing to risk. Then sit down and total up every single expense you can possibly think of with regards to opening your business. Take note of that last one. Many businesses don’t become profitable for at least the first 6-12 months, so it’s important not only to ensure you have enough capital to start your business initially, but also to run it until it becomes profitable. Determine how much you are likely to need to run your business until it becomes profitable, and try to pad that number as much as you can in order to account for unexpected expenses. Once you’ve determined your budget, you can start purchasing the things you need to open your business. Let’s talk about a few things you can do to make sure you stick to your budget once you have developed it. After all, a budget won’t make a difference if you don’t stick to it! There may be times when using credit is absolutely necessary, but try not to use it unless you have to. Interest rates vary based on the type of loan/credit and your credit history, and can be as much as 30% or even higher for some types of high-risk loans. This kind of expense can destroy a brand-new company if it’s not managed carefully, so it’s wise to avoid using credit if at all possible. The only thing you should use credit for is to obtain inventory, because it’s something you can sell for a profit, and then only if necessary. For example, if you find a good price on inventory that is a limited time offer, or if you run out of stock of your best-selling item and you need to get it back in stock urgently and you are waiting for payments to come in, then you can float with credit. If you do this, be sure to pay back the entirety of the loan as quickly as possible, ideally within 30 days in order to avoid interest. Most credit cards will not charge interest until they generate a statement, so if you can pay off the balance before your statement is generated, you probably won’t have to pay interest. This isn’t true for loans, however, so be sure to check the terms of any loan to see just how much you’re going to have to pay back. Remember, if you end up paying high interest on something, even product you intend to sell, you eat into your profits. This is especially notable if you’re in a field that operates on razor-thin profit margins, such as consumer electronics. Such interest payments could erase your profits completely. You may also occasionally have emergency expenses that you must use credit to cover—such as an unexpectedly high utility bill or some other expense you couldn’t have anticipated. This is another valid reason to use credit, but try to avoid doing so if you can find any other option. Don’t forget that you can often transfer balances from one card to another, so if you have a balance on a card and you know you can’t pay it off in time to avoid interest, you could transfer the balance to another card with a lower interest rate or to buy time to pay it off. Also, consider getting business credit instead of using your personal credit. Some types of business credit can be obtained without risking your own personal credit score or your personal income, instead being opened in the name of the company using the company’s Federal tax ID number instead of a social security number. Be sure to ask if the creditor requires a personal guarantee, also called a PG. If so, it means you could be sued directly if you default, and it can be reported to your personal credit report. In the early stages of a startup, cash is king. Cash flow is something that can easily get away from you if you’re not careful. Be sure you carefully document your business expenses, including noting the date, amount, items purchased, where they were purchased, and keep receipts. Not only will this help you stick to your budget, but you will need this information for taxes, because you will pay a huge amount of money in taxes if you aren’t able to claim deductions for your expenses! Some expenses can’t be written off on your taxes, but save the receipts anyway. You never know when you may need them. Tax laws can and do change sometimes, and not only that, you may need to prove expense figures if you later decide to sell your company. If you have employees, be sure that anyone who has access to petty cash or to company funds knows they must clear purchases with you first. One of the biggest reasons companies go over budget is through employees spending money on items that aren’t in the budget. It’s always difficult when you don’t want to micromanage employees. Just be sure to let them know that cash flow is tight, and that’s the reason they are being asked to clear purchases with you first. You don’t want them thinking you don’t trust them. Now let’s take a look at a few ways you can save money on those things you do need to buy. 1. Don’t buy anything you don’t need. It seems simple enough, but you’d be surprised how many people waste money on things they don’t really need, such as decorative things for their office or renting a fancy space for their company. Buy those things once your company is profitable. Don’t buy them in the beginning! 2. Always shop around. Prices can vary from vendor to vendor, and from day to day, so take the time to do some comparison shopping. Even saving a few dollars here and there can add up. Before you buy anything that costs more than a few bucks, look for a coupon, discount, or better price. For example, you can search Google for “NameCheap coupon June 2018” to find a coupon for a discount off the purchase of a domain name for that month. And many hosting companies have deals where you can get your first month of web hosting for free or cheap with a coupon code. 3. Buy used whenever possible. A lot of people make the mistake of thinking they need to buy everything brand new, but sometimes gently used items make more sense. Why pay $500 for a brand-new desk for your office when you can get a very nice used one for $100? Sand it down and paint it, and it might look brand new at a fraction of the price. 4. Don’t be extravagant. It might be a nice gesture to hold a Christmas party for your employees, but wouldn’t it be much better to invest in additional marketing that will help increase your bottom line, so you can offer your loyal employees with regular pay increases? If it doesn’t directly drive the company toward profitability, it can wait! Or you can make do with a cheaper alternative. For example, if you feel you must hold a party for employees, plan some inexpensive activities that can build team spirit rather than splurging on expensive food or renting a space for the party. 5. Don’t take a salary. I know it’s painful to hear, but one of the biggest mistakes startup founders make is taking a salary for themselves right from the beginning. I get it. We’re all in business to make money. Otherwise, why start a business at all? But when you’re just getting started, you need every dime you can get for startup expenses. Unless you’re incredibly lucky and achieve profitability overnight, hold off on taking any money for yourself. 6. Don’t outsource anything you can do yourself. You can learn to do most things on your own, such as setting up a basic website with WordPress and even designing your first logo. If it’s something you can do, you should do it yourself unless it’s so inexpensive to have it done that it wouldn’t be worth the time and effort it would take to learn how to do it yourself. These are just a few ideas of ways you can save money, and you don’t have to use them only when you’re getting started! It never hurts to stay frugal, even when your company is making a good profit. Everyone wants their company to become profitable as quickly as possible, but few actually do what it takes to make that happen. One major reason companies take so long to become profitable is getting caught up in analysis paralysis. They spend so much time debating over this decision and that decision, and quibbling over tiny details that don’t really matter, that they fail to launch or expand quickly enough. Yes, it’s important to make decisions carefully, but you also need to take action, and if you don’t, it will take you a lot longer to become profitable. If you spend an extra three months agonizing over decisions instead of just getting your business open and making money, that’s three months of potential profit you lose, and three months of additional operating expenses you can’t recoup with profit. In the beginning, you will probably be doing all or most of the work yourself. That’s one of the mantras of a shoestring startup. Don’t outsource a job you can do yourself, especially if you can do it relatively well. Eventually, though, you’re going to come to a point where you need help. This means either hiring someone to help you on a regular basis, or outsourcing tasks on a job-by-job basis. Hiring employees may seem like the right step, but it’s not always the best option. Remember, an employee must be paid whether or not the company is profitable, whether or not there is work for that employee to perform at a give time, etc. Once hired, they must be paid, period. Instead of hiring a full-time or part-time employee to handle certain tasks, you might consider outsourcing the work instead, especially if you don’t believe you have enough work to keep an employee busy during their workday. Because many freelancers work on a per-job basis rather than hourly, you don’t have to worry about paying minimum wage or higher, or offering benefits, or filing tax forms. This can save you a lot of money when you’re just getting started. 1. Can I handle the task myself? If you have the skills to do the task, and the time to do the task, you might as well do it yourself. Otherwise, you should hire someone or outsource. 2. Would it be more profitable for me to do the task myself? If the task can be outsourced so cheaply that you wouldn’t do the work yourself at that price, you probably want to hire someone else to do it. 3. Can someone else do it better? If your skill level isn’t up to par, it’s probably a good idea to get someone else to do it, especially once you reach the point where you can afford to invest a little more in quality. Just because you can do something, doesn’t always mean you should. 4. Is the task really necessary? If you think about it, you may realize it’s not even necessary. The purpose of this guide is to help you start your business with as little capital as possible, but there may be times when you need a little boost—just a little extra cash for something like buying extra stock, paying off an unexpected bill, or taking advantage of a really good price on something you need. Remember, the longer you wait to obtain funding, the better position you will be in not only to get approval, but to get terms that will be more favorable. If you’re a startup entrepreneur with no proven history or track record in business, you’ll find it nearly impossible to get funding. Even if you have a killer idea, investors aren’t likely to take a risk on you if you haven’t proven yourself. Let’s take a look at some ways you can obtain funding for your business. Angel investors are more likely to invest in unproven startups than venture capital firms, as they are usually individuals, and they are usually investing not only for profit, but to help other entrepreneurs like themselves get started. Angel investors typically invest smaller amounts of money than venture capital firms, as they are individuals and not companies or organizations. Investments are usually under a million dollars. Most angel investors do want you to have a very solid idea, as well as a solid business plan, so be sure you have all your ducks in a row before seeking appointments with potential investors. Venture capital firms typically prefer to invest over a million dollars in companies, but they are much stricter on the companies they invest in. They want to see things such as a proven track record, profit and loss statements, and solid revenue before they will invest. While it may be possible to secure funding with a venture capital company without all of this, it would be incredibly difficult. You’d need a big name and proven track record in business before your idea would even be considered. For this reason, it’s advisable to wait until you have solid figures to show them before considering this type of funding. Loans are a bit easier to get than investments, so if you aren’t at a stage where you can visit angel investors or venture capital firms, a loan can be a good option. Keep in mind that loans do require good credit and/or collateral to obtain, and if you don’t have either you probably won’t have much luck obtaining one. If you’re in the United States, consider checking out the small business loans from the SBA (Small Business Administration). They have connections that can help people get loans with less strict criteria than traditional loans. You might be able to secure a second mortgage to get your financing, but keep in mind that if you default, it puts your home in danger. A lot of entrepreneurs do go this route as a last resort, but I wouldn’t recommend it unless you are very confident that your business will succeed. Don’t forget that bootstrapping is all about saving money, so be sure to use the strategies in this guide to pinch pennies and get great deals that will help you avoid financing—at least until you’re ready. This guide is an invaluable resource for cutting corners, saving money, and bringing in the capital you need to grow your revenue quickly! This concludes our guide on bootstrapping your startup. I hope you’ve learned a lot, and that you will apply what you have learned to start your own incredibly successful and profitable business. The post Discover The Secrets To Bootstrapping Success Your Startup appeared first on Viral Rang. Are you a die-hard fan of football or if you want to have an entirely new experience of playing football, the one where ONLY YOU decide who is going to be in your team? You have landed to right place, a guide which tells you everything that you should know about fantasy football. So, what exactly fantasy football is? Well, it is a stat based game which is played on the basis of real life stats of NFL players for competition against each other. You are the ‘sole boss’and chose the NFL players for your team. In the beginning of football season, the performance of the players adds to their score to determine the winner fantasy team. You can also download the fantasy football app, to stay catchup with news and updates. So, let’s begin how exactly you can play this game; remember you can get started with your fantasy football easily game at CBS Sports. Good news for the managers of fantasy football is you can decide to keep the size of your team as large or small as you wish it to be. The number of your team can range from four to even thirty players. A trick here to keep good layers on the list is to keep ideal number of 12 players in your team, but you can include more players to keep best players with you. Most of the leagues in fantasy football select players through draft method. In this method, the owners or ‘general managers’ of the team take turns to choose players. There is another method to pick players is auction method. This method works the same way an auction does; teams begin with fantasy money to bid and nominate players turn by turn. The one with highest bid on a player, wins. This game works similar to that of NFL season. 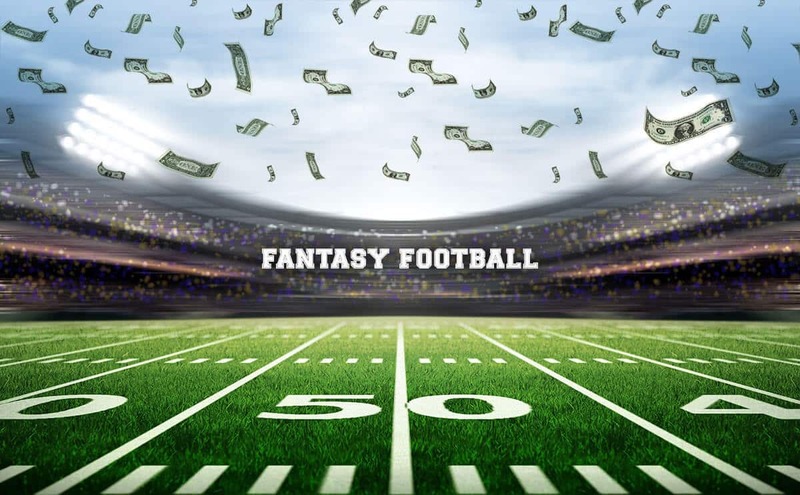 There are also customized options for categories that owners choose to compare and determine the performance of the players each week during the fantasy football season. Each league has its schedule against the other fantasy team every week and the owners score based upon how the players perform in their real life football games. When the games of the NFL season go towards the end, week 13 or 14, the winning and losing team will be go towards elimination playoff, until one team is left, declared as the champion of the season. When the schedule is set, the next phase to see how the scoring method works. Scoring for each team depends upon the leagues, moreover, there can be a standard scoring system set by the platform through which the leagues play. In such standard scoring system, each player is awarded with points and touchdown which is increased or decreases according to the performance of the player. There are also bonus points set by leagues for the team when it reaches a certain milestone. The post Your Complete Guide on How to Play Fantasy Football appeared first on Viral Rang. The human brain is hard wired to overthink and nothing feeds it better than anxious or negative thoughts. Anxious thoughts can be overwhelming, and so can negative thoughts. Both can also lead to overthinking which in turn result in anxiousness and poor decision-making. Together these two make up for a perfect formula for a racing mind. What that means for a lot of people is that they often over-evaluate and exaggerate the real situations, events, possible scenarios and even goals but never actually do anything about them. Pending decisions are often a cause for worry with the imminent fear of making the wrong decision and having to live with it for the rest of their lives. And while thinking is nice, not doing anything about your thoughts actually means not making any progress. In fact, being an overthinker can actually result in becoming someone who stands still in life, because deconstructing things won’t let you move forward. It may also be the one thing most responsible for stopping you from taking action. This is the trap that a busy mind can easily get entangled in. A mind that tends to overthink can make it very difficult for people to balance thought and action. They get trapped in their thoughts and find it very hard to act. 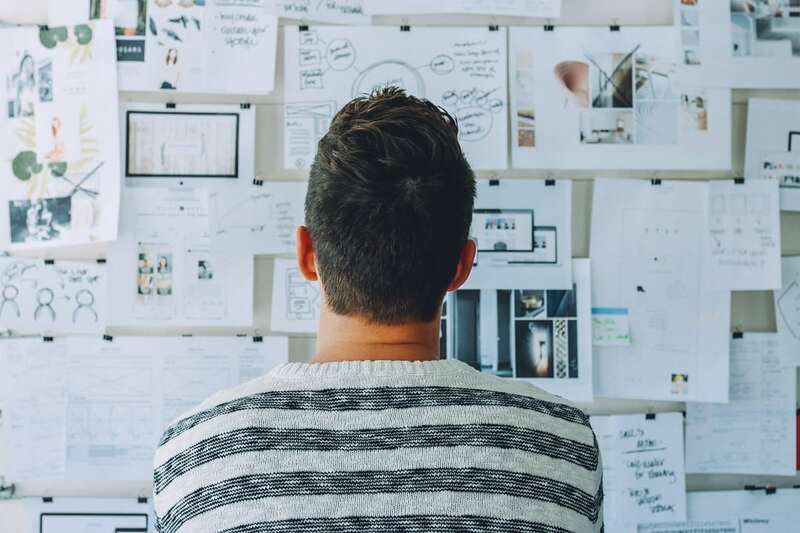 If you think that you are an overthinker, you will also know that it is very easy for you to get caught in a loop where you recreate an event repeatedly or try to analyze an idea from every possible angle. After hours of thinking and getting no sleep, you often get nowhere and are unable to move the process along. Plus, when you overthink, your judgement gets cloudy and your stress levels elevate. What Do You Overthink About? Not all overthinking is the same. This may sound strange so let’s look at it a bit more closely. One type of overthinking means obsessing over a single thing or event over and over again. It could be something in your present that you can’t seem to let go of such as why your head hurts so bad? Could it be a symptom of something more serious? Perhaps even something deadly? Is that why you can’t seem to sleep well at night? And so on. Another way to overthink is to regret a decision or action you may have taken. This one takes you back to your past and keeps you rooted there. An example may be choosing a career choice that didn’t work out as planned. Instead of trying to change their circumstances, overthinkers tend to get stuck in the “what if” phase ruminating over the past. This neither helps change the past nor improve their current status. Then there is the scenario where you keep deliberating about a possible future and how things may pan out. Thinking about how bad the economy is may lead you to ponder endlessly on how your investments are going to be worthless, how you may lose your job or how you may never be able to send your kids to college. In any of these scenarios, overthinking the situation means that you can’t think about anything else and it starts to affect your life in a negative way. Since overthinking seems to mostly revolve around negative or problematic issues, these can take hold of your mind and exert their power over it. It is very typical for most people to obsess over previous mistakes, present day stresses and future troubles and not do anything to improve their situation. Overthinking about every little problem only magnifies it manifold. Also, thinking about the same thing time and again makes it larger and scarier than it actually is. Ever spent time ruminating why your boss didn’t comment on your presentation in a recent meeting? Was it because your presentation was bad? Did it make you look incompetent in front of your colleagues? Are you going to be fired for making a sub-par presentation? You get the idea. The same can also happen when you overanalyze a good thing. Even in scenarios where you keep thinking about something over and over again can diminish its importance and make it appear insignificant. Things like choosing what to wear for a job interview or deciding where to go on vacation are not difficult decisions, but being an overthinker can make these seem like life or death decisions. Ironically, all that thinking won’t help you make a better choice. When your mind is constantly worrying, thinking and analyzing, you miss out on a real chunk of the present. Overthinking stops you from living in the moment and lets you dwell in the past or a possible future in your mind. When you are not in the present, your brain shifts into something called the default mode which is when the decision making part of your brain does not work well. Research also points to the fact that when in default mode, the brain expresses lower levels of activity when you are involved in a task and higher levels when you are not engaged. This means that it works harder when you overthink which is not a good thing, since allowing the brain to be in a state of constant anxiety can lead to other behaviors like anger and depression which are all toxic to mental health. If you are an overthinker, then you already know you can’t sleep since your mind won’t turn off. Even at night, you are unable to rest the mind or turn off the numerous channels in the brain. The mulling continues and the brain becomes more exhausted than ever. And even if you do manage to get some shut eye, overthinking will impair the quality of your sleep. You will be less likely to sleep well after you have been thinking about the same thing over and over again. At some point overthinking becomes the mental habit of giving birth to ideas and thoughts that are not real. It is a nifty trick that plays tricks on your mind. If anything, it tricks you into believing that you are on your way to solve your problem. It offers protection against threats like failure, embarrassment and rejection by limiting your actions to the minimum. As a chronic overthinker, you operate under the mechanism that thinking everything out will let you control every situation and find the perfect solution to every problem. Instead, quite the contrary happens as overthinking can have negative effects for both mental and physical health. Unsurprisingly, the same can also lead to emotional distress. Prone to overthinking and overanalyzing, people waste a lot of time inside their own brains when they should actually be minimizing such thoughts and making them as productive as possible so they don’t get in the way. The overthinking keeps most people rooted in uncertainty, fear and doubt keeping them stuck. Whether you have been putting off getting a house for a few years or because you can’t find the perfect one, or because you struggle to be productive as every choice you make takes up too much of your time, overthinking will drag you down. However, you don’t have to be an overthinker for ever. Before you can take any kind of action, you need to stop yourself from overthinking. There are a few different ways to go about this problem. And while these tips may not entirely quiet the mind, they will stop you from overthinking for a while. They can help slow down the mind and help you focus on the moment. The initial step to quieting a frenzied mind is acknowledging that there is a problem. So to cope with overthinking you need to be aware of when it’s happening. A good way to start is to take a look at how overthinking is actually affecting your daily life. For example you may be concerned about why your colleague hurrying down the hall didn’t make eye contact with you. If the thought bothers you and you let it go thinking you’ll ask that person if everything is alright the next time you see them, you’re okay. But if you start obsessing about why they were avoiding you, could it possibly be something that others know about and you don’t, and the thought sticks with you, distracting you from your work obligations, then you are in trouble. In most cases, overthinking is brought on by the most basic of emotions, fear. With all your attention focused on the adverse things that may happen, it is not difficult to become helpless. So when you sense yourself spiraling in that particular direction, stop. If you have to think, then think about everything that may go right, keeping the positive thoughts up front and present. It is not at all hard to succumb to the lure of overthinking small events in life. And when you do so, just ask yourself if the thing you are thinking about so hard, will it even matter in another four weeks let alone four months or even four years? If you widen your perspective using this one simple question, you may well find that it is very easy to snap out of thinking too much and let go of the situation. Changing the time frame may be helpful in shutting down overthinking. Sometimes when you can’t take immediate action, you can try to entertain your mind instead. You can look for a hobby, an activity or some other task that occupies your mind. Whenever you find a distraction, you stop overthinking and ultimately the wandering thoughts begin to disappear. An example would be to go out for a run or jog. Exercise is a great way to clear the mind of obsessive or spiralling thoughts. Exercise gets your endorphins and blood circulating with activities which trigger you to move and put you in a positive mindset. Some people turn to meditation for the same effect while others listen to music or practice personal rituals. The important thing here is to involve the mind in activities which are totally unrelated to your worrying thoughts. Not all decisions will affect you for life, so treat them as per their importance. If you find that making a decision takes forever, then set out a game plan first. For instance, if you don’t set a time frame for when you need to finalize a decision, then you will likely keep turning the thoughts in your head and be stuck with them for a rather long time. Instead you need to improve your decision making skills and get into action by establishing deadlines in daily life. For smaller everyday things like whether to wash the dishes right away or after watching your favorite show, give yourself less than a minute to decide and move on. For somewhat bigger decisions, give yourself till the end of the work week and decide how to go about it. Single tasking helps you keep your focus intact and finish what is most important first. This eliminates the need to overthink things through while also pacing your day, giving you enough time to rest as well as recharge. If you are not used to it, you may think that single tasking will slow you down. However, what it does do is set you up with a relaxed mindset with improved focus that allows you to concentrate with clarity and make better decisions. This also prevents you from avoiding ending up stressed and prevents overthinking. Single minded work also prevails because it allows you to reach the real depth of what you do, appreciate the action you took and enjoy it as well. The amount of input you receive, whether at work, school, home, or through your social media clutters your mind. The greater the input the more you have to respond and the harder it becomes to keep things simple. It is important to realize that you can’t and shouldn’t have to be part of everything. So stop trying to think everything through to deliver the perfect result. There is no way you can be in control of everything so step outside your comfort zone and take some action despite the risk of making a mistake. Of course, this is not all possible in one go, so do it in small steps if you like. Which brings us to the next point. Everyone aiming for perfection needs to become more realistic. Being ambitious is great but looking for perfection in everything is not only unrealistic and impractical, it can also be highly debilitating. While everyone does overthink situations occasionally, those who are overthinkers are bombarded with a torrent of thoughts every day, all the time. Incessant overthinkers rehash every conversation they have and second guess each decision they make in search of perfection. But the problem with this is that thinking overly about an issue often engages much more than words. In fact, overthinkers create different images in their minds and the overthinking stops these people from getting anything done. Creating a plan is the first step towards taking action and that often means pushing towards the thing that you would normally avoid. It is a step moving towards what is uncomfortable or what scares you. What makes taking action so difficult for people who overthink is that fact that action typically goes against their impulse. What is easier is to simply mull over a plan for the umpteenth time and deceive yourself into “playing it safe” (which basically means not doing anything until you think you know what to do). However, your potential to predict the future is quite slim. And it really is hard to see the possibility of success if all you have experienced is failure. Yet it is only after a number of failures that most people get a chance at success. This fear fixates overthinkers into inaction. It convinces them into believing that inaction does not hurt. However, while you may play it safe temporarily, it is important to realize that inaction may not hurt you now, but it will hurt you for the rest of your life. And the longer you choose inaction over action, the harder it becomes to act. Nike got it right when they chose “Just Do It” as their slogan. This step will help you snap out of overthinking making you do what needs to be done right away. By now you know that you can’t really just sit around and think your way out of something. But just doing it sounds a lot easier than going through with it, especially if you are an overthinker. This step also involves cutting ties with your thoughts and emotions. (Not all ties, but just the irrational ones holding you back). This means disregarding what your thoughts are babbling about and how your emotions are trying to hold you back. It is perhaps the best reminder to focus on the present and forget about everything else. This however, does not mean that thoughts and emotions are useless. However, sometimes, and you often know when, they do hold you back. If you can disassociate with these temporarily, it becomes easier to act regardless of what others have to say. This step can be particularly helpful if you are trying to establish a new habit, or quit an old one. Take the example of quitting smoking. By identifying less with your thoughts and emotions, you will improve faster and stick to your habit until it sticks to you. Just doing it is also useful when you don’t feel like doing something. For instance, your new habit may be to exercise everyday but today you may not feel like working out. In this scenario, you can find a lot of excuses not to work out and slack off, but doing it without any regard for these excuses may surprisingly make you feel better. Exercise is known for boosting mood so once you start, you may find out that you flip around mentally, and what felt like a drag before actually helped make you feel better and turned the rest of your day around. All actions work towards getting results. If you make this your motto, you may find that it becomes a lot easier to get the job done. Becoming result oriented is also a very effective mindset for productivity and one that scoffs procrastination. When you take action to get to a result, everything else becomes insignificant. Only the result remains relevant and this mindset automatically puts all your focus into the action that you take. There are also a few advantages to becoming result oriented as you work toward your target. First, there is the drive to action. And then there is flexibility. For instance, if one action does not work as planned, then you improvise and get things done another way. Since the result is all that matters, you will change how you do things to get there. This promotes flexibility. Here is an example of result oriented action: You have to do the dishes, but it is not the most exciting of chores. However, if you are result oriented, then you will look at the scenario as something like this- you want to have an organized and clean kitchen and you need to get the dishes done to achieve that. You will do so quickly without giving it too much thought since that will get you the result you wish for. This is a good check to monitor your actions versus inaction. When you hold yourself accountable to yourself, you establish your own principles and standards of behavior. This is the first step. But it is easy to cheat your way out of your own accountability, especially if no one else knows what you are up to. 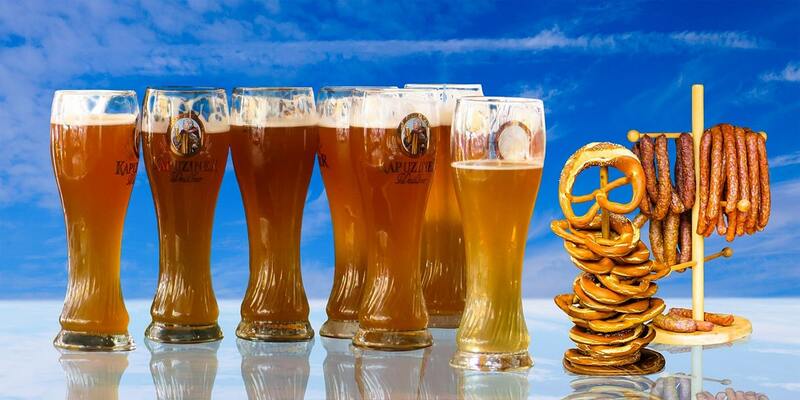 You may be tempted to rationalize your inaction to yourself and take a cheat day or two off. So another way to ascertain action is to tell others about your plans. By being accountable to others, it becomes harder to not do something as promised. If a bunch of people know what you are going to do, you would not want to disappoint them by inaction or will have to face up to them the next time you see them. This tip can work well for some people but may not be for everyone. It may put some at risk for taking action only to avoid judgement and create pressure within themselves. But if you feel that you can create accountability for yourself to your standards, it may be more helpful when taking action than the one you receive from being accountable to others. You may need to feel your way through both options to see what works best for you. This may seem a little out of sorts, but it is important not to take everything so seriously. And people who overthink tend to do exactly that. Taking things too seriously is perhaps one of the most effective ways to discourage yourself from being proactive. After all, there could be serious consequences and repercussions of the action you take, tells the mind of an overthinker to the person. This possibility makes taking action feel too large, too difficult and too intimidating all at the same time. Having too serious a mindset is a one-way street headed to creating big problems and negative feelings from pretty much nothing. But if you relax a little and ease off, you will realize that the issues and negative emotions wandering inside your mind are simply the mind’s own creations and nothing more. Without such a negative state of mind your projects will also appear lighter and seem less cumbersome to get started on. Too often overthinkers fail to discriminate between what is of importance and what isn’t, since they think about everything. On the other hand, lightening up will also help you distinguish the important stuff from the unimportant leaving you more time and energy for what really matters in life. If you pair the previous step up with preparing a to-do list, taking action can become even easier. When you have a to-do list on hand, it becomes a visual reminder of what needs to be done and where to take the action. Visual reminders are also a great tool to limit the wanderings of a rambling mind. Plus, the list also acts as a filter to separate the important things from the unimportant. You (or your busy mind) need not worry about things that are not on the list. When creating your list, do keep in mind to make it precise and limited. This is important as it is easy to become overly passionate when penning down what needs to be done. Or, you may end up making a long list that eventually starts to fill you up with dread, makes you feel weary and sets in the temptation to procrastinate. Instead it is better to have a short list of just three to four items max, and everything else can go on a different list. A shorter list will be less frightening and make it simpler to take action and get the work done. The “what if” dilemma can really do a number on your mind. It can lead you to devote days, weeks, months, and in some cases even years just contemplating about what might happen should you take action. A better suggestion instead is to redirect the focus from “what if” to “how”. Rather than let your mind meander over “what if”, think about the course of action you will follow to do something, solve a problem, or get to a goal. How you plan on achieving all of these things and what you must do to get there is a better and more relevant way to engage the mind. Focusing on “how” to take action not only puts your thinking skills to better use but also helps establish a positive outlook. It replaces resolve with irresolution which in turn makes it quicker to take action in the absence of overthinking possible scenarios. To sum up, quieting an on-the-go mind requires active participation on your part. You can only do so when you stop being a constant worrywart and put some kind of action into motion. While some anxiety and worry are normal, overthinking everything takes it beyond the bounds of normalcy if it starts to affect routine life. Still, breaking the habit with a few simple changes can help to free your mind and become proactive to take action rather than be fixated in the negative. 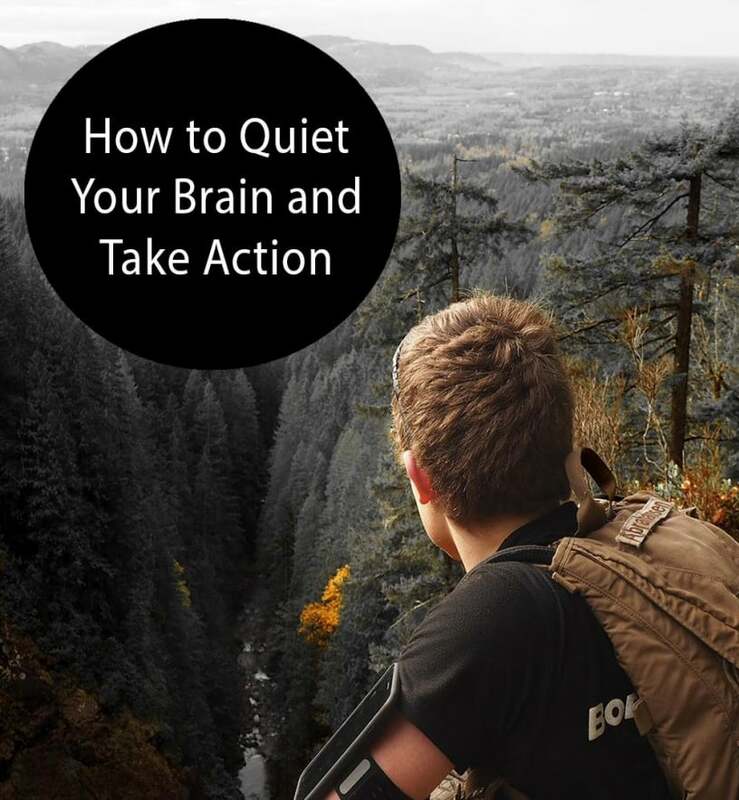 The post How to Quiet Your Brain and Take Action appeared first on Viral Rang.